Excellent finance deals available. Drive away same day - with no extra admin fees! Comes with 3 months warranty with WMS Group (with options to extend to 12m, 24m, 36m). Part exchange welcomed. FULL JAGUAR Service History! (4 STAMPS) NEW SERVICE TO BE ADDED ON. MOT till 14/02/20. NEW BRAKE PADS & DISC! Spare Key Included! 2 Owners. 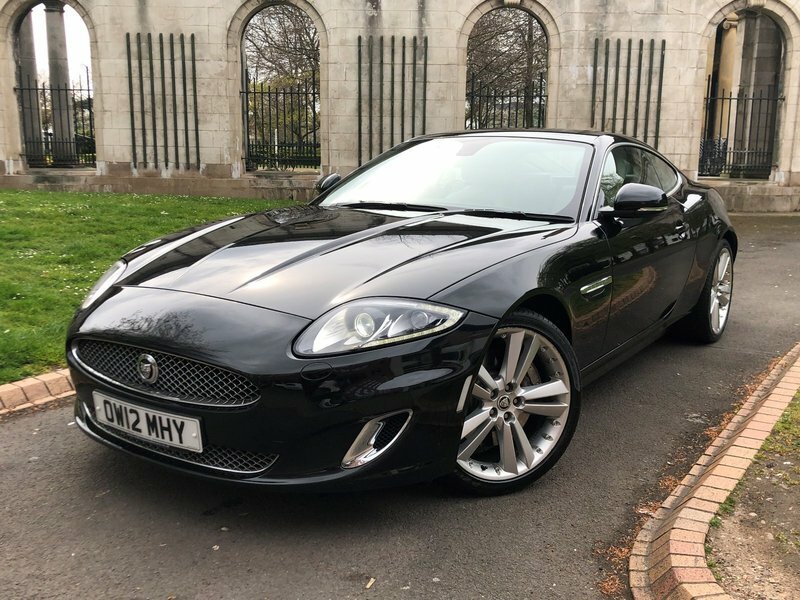 This V8 5.0 LITRE JAGUAR XK comes with; Navigation, Reverse Camera (with Guidance Lines), 8-Way Electric/Heated/Memory Seats Upholstered in FULL Cream Leather, F/R Parking Aid (Visual & Acoustic), Auto Xenon Headlights, Electric Folding Mirrors, Cruise Control, Dual Zone Climate Control, Bluetooth (Telephone Connectivity), DAB Radio, Drive Select, 20" Alloy Wheels.